China’s foreign exchange reserves have stabilized at $3.1 trln as the yuan rallies. Capital flight has been staunched, thanks mostly to the dollar’s plunge. If Beijing wants to attract more foreign money into its stocks and bonds, it might be a good time to relax currency curbs. 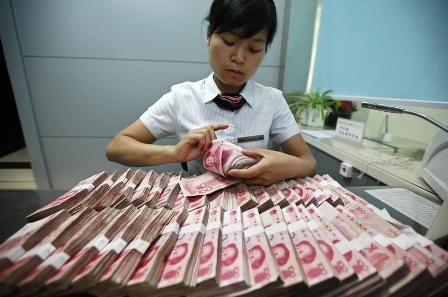 China's foreign exchange reserves rose $24 billion to $3.1 trillion in July, beating forecasts. The yuan has risen more than 3 percent against the dollar in 2017, as the dollar weakened against a range of currencies. The appreciation of other currencies against the dollar helped boost the value of Beijing's foreign exchange reserves, the forex regulator said on Aug. 7. Commercial banks sold a net $93.8 billion of foreign exchange in the first half of the year, down 46 percent from the same period last year, indicating diminished demand for foreign currency from Chinese corporations, official data shows.